OWENSBORO – Troy Quinn and the Owensboro Symphony will return to Cannon Hall on Saturday evening, April 20, 2019 for their final performance in an attendance record-breaking season that has been full of fun and adventure. Excitement will continue at the 7:00 p.m. performance entitled Fantasy Takes A Fiery Flight. Joining Quinn and a massive orchestra will be international superstar violinist, Fabiola Kim. The Symphony takes flight as it opens the concert with Gonna Fly Now from Rocky, Chariots of Fire and John Powell’s Suite from How To Train Your Dragon. Fabiola Kim’s performance of Vaughan Williams’ soaring, transcendent, and notoriously difficult The Lark Ascending will conclude the first half of the program. Following intermission the Symphony will return for a performance of Stravinsky’s fiery and bold masterpiece, The Firebird Suite. Since its premiere as a ballet it has become familiar through many different iterations, among them the animated finale of Disney’s Fantasia 2000. “Firebird is a much-loved masterpiece. The audience will definitely be on their feet at the end of the blazingly majestic finale to our 53rd season” said Dan Grifffith, CEO of the Symphony. Hailed by the New York Times as “a brilliant soloist,” Fabiola Kim is one of the most dynamic players of her generation with a wide variety of repertoire. After beginning her studies at age four, she made her concerto debut with the Seoul Philharmonic Orchestra just three years later. Ms. Kim has won many awards including concerto competitions with Juilliard, the Seoul Philharmonic Orchestra (its youngest winner ever), and was a prize winner at Corpus Christi International Competition and the Irving M. Klein International Competition for Strings. Her past engagements include performances with the Juilliard Orchestra, Seoul and Suwon philharmonics, the Kangnam, Korean, and Prime symphony orchestras, Koln Chamber Orchestra, North Czech Philharmonic Orchestra, the American Academy of Conducting at Aspen, and the Budapest Symphony Orchestra. Kim earned her bachelor and master of music degrees at the Juilliard School. She is now an Artist Diploma candidate at the Colburn School. More personal information about the artist can be found at www.fabiolakim.com. 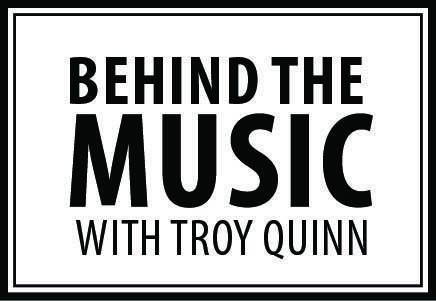 At 6:15 p.m. in Cannon Hall, just prior to the 7:00 p.m. symphony performance, Troy Quinn will host Behind The Music With Troy Quinn. He will be discussing not only the music on the program but talking with Fabiola about her professional life as a soloist. Come go Behind the Music with Troy and his guest, violinist Fabiola Kim. Fabiola Kim will meet with Daviess County High School Orchestra students on Friday, April 19 12:30-1:30. Tickets for the Owensboro Symphony’s April 20 performance range in price from $38.00 to $48.00 . Student tickets are $14.50 each. Tickets can be purchased by calling 270-687-2787 or through the RiverPark Center Box Office, located at 101 Daviess Street. The box office is open from 9 a.m. to 4 p.m., Monday through Friday, 10:00 a.m. to 2:00 p.m. Saturday. The box office re-opens at 5:30 p.m. prior to the Symphony’s 7:00 p.m. performance. The Symphony’s Season Finale is sponsored for the twenty-eighth consecutive season by Swedish Match. Fabiola Kim’s appearance is made possible by additional support from BB&T and Owensboro Grain. As our corporate partnerships grow, so does our investment in the community we all share.